Vanuatu is synonymous with great beaches, and for good reason. 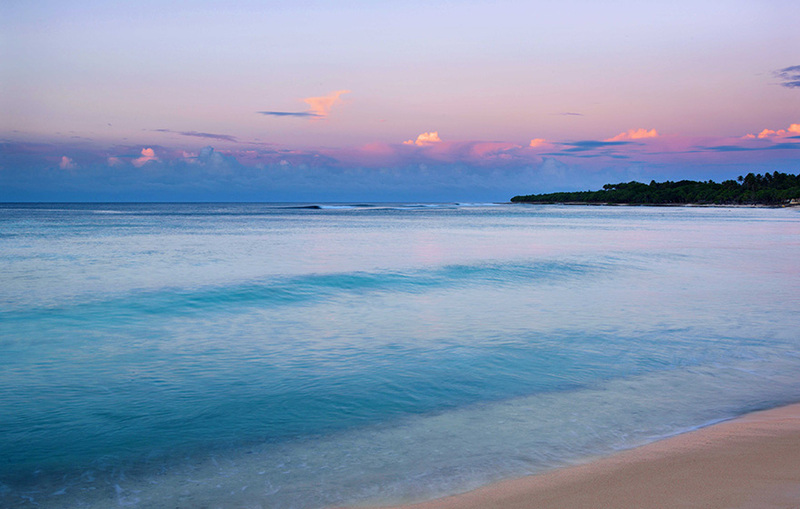 Water lovers and sun seekers of all ages will find something to love on these Pacific Islands. Everyone from toddlers to grandmas will enjoy sinking their toes into the sand on Vanuatu's beaches. Calm, sheltered and perennially warm waters invite families to spend whole days swimming, snorkelling and lazing by the beach in Vanuatu. Here are a few of our favourite spots to swim and sunbathe with the whole family. 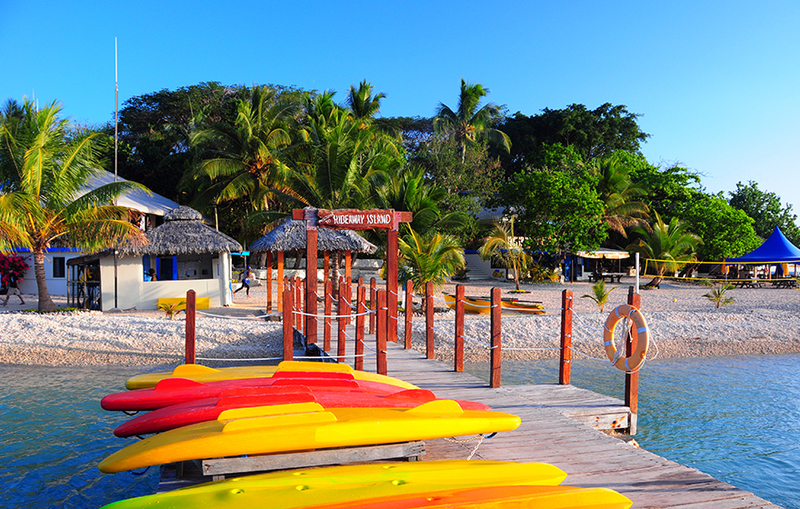 Palm trees, white sand, blue water - Bokissa ticks all the boxes for a paradisiacal beach. To the south of Espiritu Santo, Bokissa Island is an ideal place to escape with your family. The main activities are swimming, snorkelling and exclaiming over and over again how beautiful the island is! Whoever named this beach wasn't exaggerating. You won't have to drag your family far to reach this one, as it's conveniently located near Port Vila. The swimming and snorkelling available is suitable for all ages and the lush setting will satisfy even the most discerning beachgoers. The little speck of an atoll in Mele Bay is a wonderful place for families, surrounded by a marine reserve teeming with underwater life. The kids will love being able to send a waterproof postcard home from the underwater post office located just off the island. 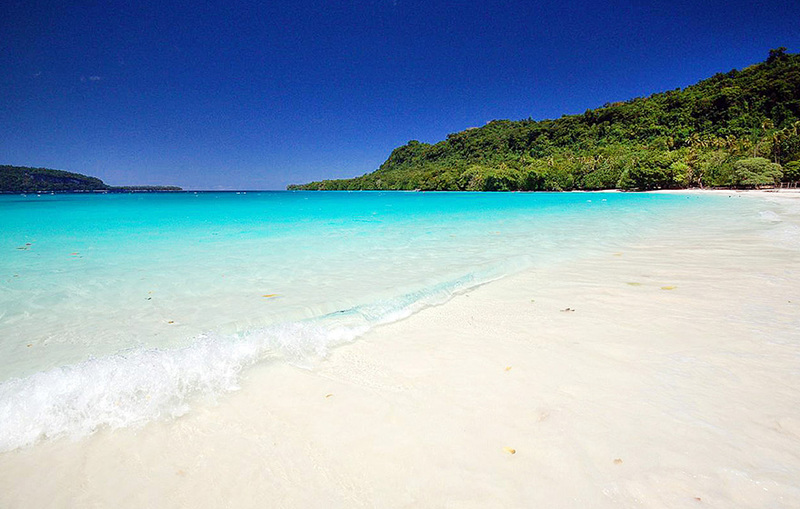 Nothing says romance like a stroll down one of Vanuatu's beaches. Whether you're celebrating an anniversary, a few days without the kids, or getting ready to propose, Vanuatu has the beaches to make your relationship sizzle. This surreal spot features effervescent water popping up in the lagoon, thanks to volcanic gas that causes the water to bubble and fizz through the rocks at low tide. Throw in some shimmering blue water and a long curve of white sand and you have the perfect setting for enjoying a sneaky bottle of bubbles. Not far from Port Vila is this exclusive crescent-shaped bay. Unfurling in front of an adults-only resort, this spot is ideal for couples. Lie back and enjoy the serene atmosphere and glorious sunsets. The dazzling sands of this beach can be found on Efate. The beach seems like something straight out of a glossy travel magazine and the nearby reef cradles a natural pool where you can swim lazily, watching tropical fish flit around you. Beaches in Vanuatu are typically sheltered and safe for swimming, but there are still a number of precautions you should take before submerging yourself in the life aquatic. Keep a close eye on your kids in the water, as many beaches in Vanuatu don't have lifeguards. Sharks and sea snakes do exist in the waters around Vanuatu. If you see snakes in lagoons, be careful not to touch them, as they are venomous. As for sharks, while they aren't common you should pay attention to any warnings issued. If a shark is spotted, swimming and other water activities are usually suspended while it is monitored. Sharks are most common off the islands of Santo and Malekula. If you're worried, you can always check with a local before swimming in these places. To make sure you aren't trespassing, you should always ask around to make sure it's okay to visit non-public beaches. Be sure to apply sunscreen before and after swimming, as it can wash off in the water! Stop staring at your desktop background - get in touch with us and make your beach holiday daydreams a reality!